Here we have the red long haired Dachshund figurine. 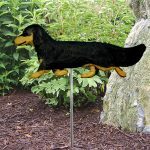 The structure of the body is identical to the smooth coat version with a few exceptions. This figurine has parallel front and hind legs. 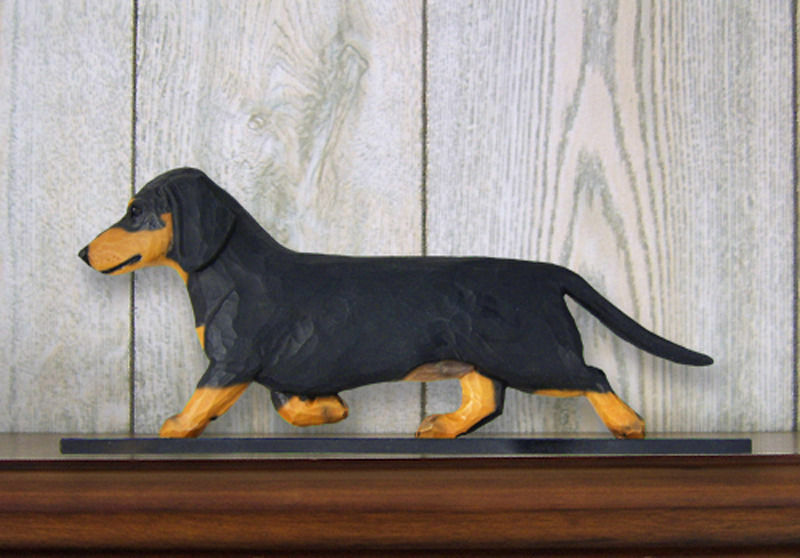 Our smooth coat only has parallel legs in the front. 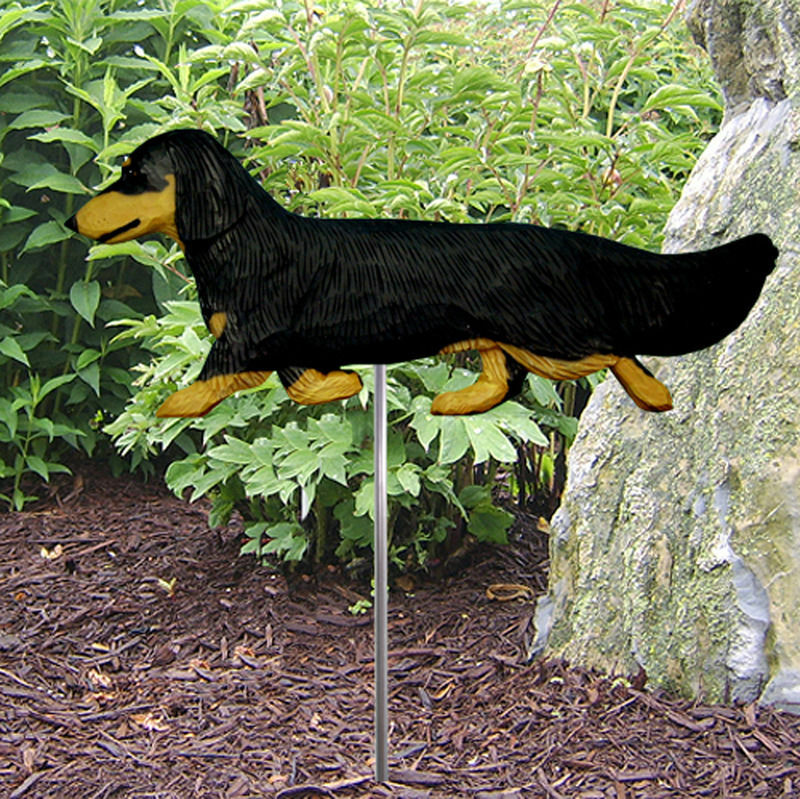 The texture of the coat has deeper grooves giving the breed a rough/long hair look and feel. 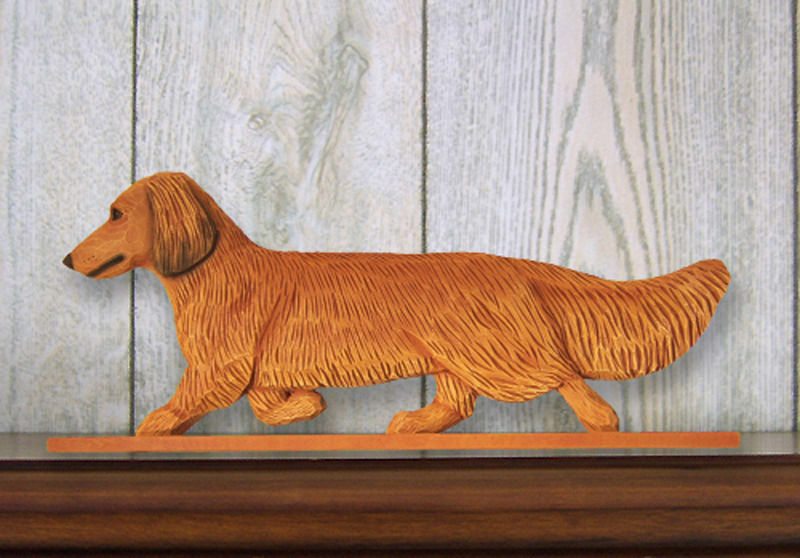 Lastly, the tail and ears are bushier creating the long hair style. 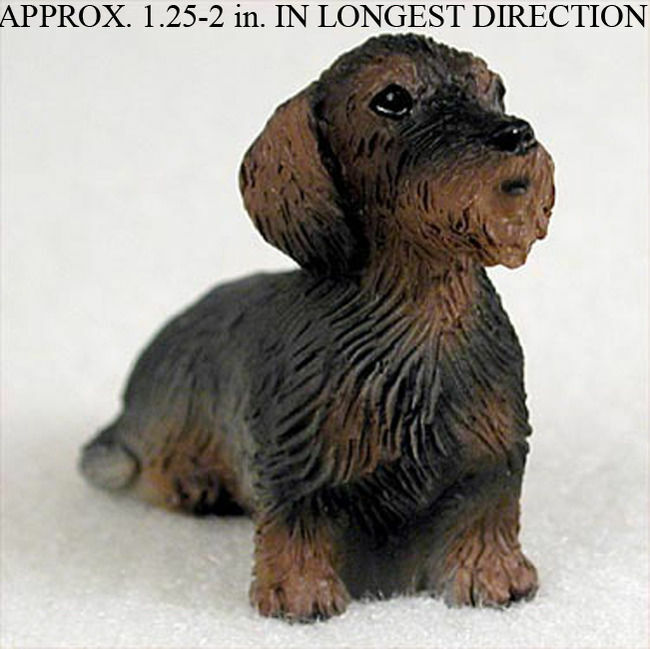 The figurine is fully red in color other than the eyes, nose, and end of the snout which are black. The mouth is closed hiding the tongue. 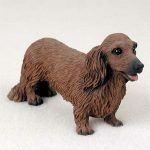 If you are unsure about which figurine matches your red Dachshund you can view our red smooth haired Dachshund figurine here: Red Smooth Dachshund Figurine.